At the forks of the Kennebec River, Sebasticook River, and Messalonskee Stream sits Waterville Maine, a former mill town known now as the home of Colby College. And with water all around, runners have plenty of options for a riverfront run with lots of foliage views. Trail runners are especially fond of the Quarry Road Recreation Area, which has a nice loop through some rolling hills, colorful woods, and a peaceful meadow. Colby College also has it’s own 8+ mile network of cross country trails stretching behind campus. Our link to the Colby College trails also has several loop options they suggest, including some of the surrounding roads. 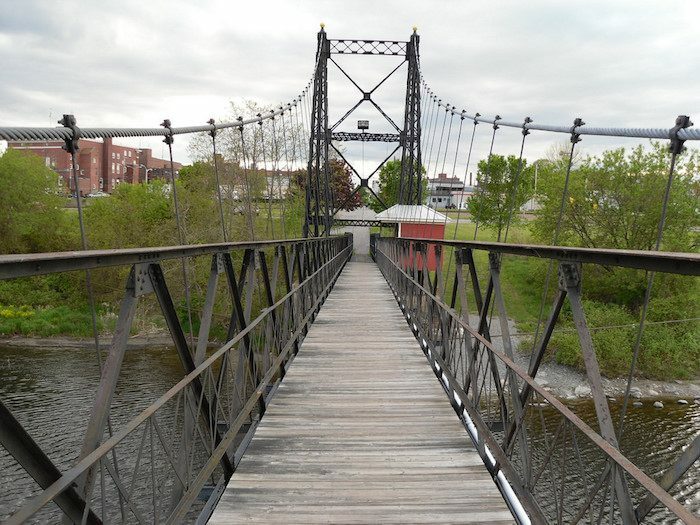 Another great option in the area is theKennebec River Rail Trail, which runs 6.5 miles between Augusta, Farmingdale, Gardiner, and Hallowell. The views of bright leaves overhanging the river won’t disappoint. The trail is a combination of paved and stone dust.